Are you on Orkut? You probably haven’t heard this question for at least a couple years. That is, unless you’re Brazilian. While it globally declined, Google’s seven year-old social network still claims 30 million active users in the country. But what will happen now that Google+ was launched? According to a Google spokeswoman, “Orkut and Google+ are different products, and will both exist. Over time, we’ll determine what makes the most sense in terms of integrating these products.” It’s not just a façade: despite the launch of Google+, Google is still actively promoting Orkut. Or better to say, Google Brasil is: it fully manages the social network since 2008. Only a couple days ago, it released a promotional video in Portuguese on YouTube, with a telling title: ‘Orkut doesn’t stop growing‘. 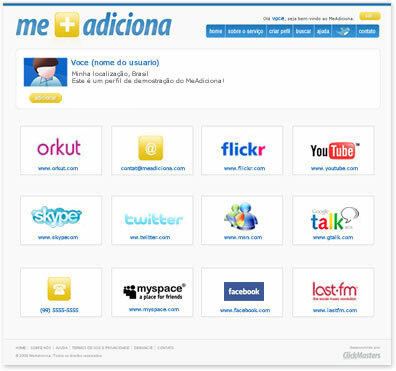 Targeted at advertisers, it reminds them of key numbers: 85% of Brazilian Internet users access a social network (well above the global average); Orkut has almost as many active users as there are inhabitants in Canada; 62m pictures were uploaded to Orkut in one single day after New Year’s Eve. Beyond this video, the recent introduction of new features that aren’t included in G+, like badges and a new logo, also confirms that Google isn’t giving up on Orkut as a standalone product. Yet, the decision is not entirely up to Google: if Orkut users want to migrate to Google+ or another social network, they will. Actually, the Brazilian presence is already visible on G+: the Brazilian entrepreneur and professor Edney Souza ranks 116th on The Next Web-affiliated Social Statistics, with over 5,000 followers. That’s little compared to the 109,000 followers of his Twitter account @interney, but let’s not forget that it all happened in only two weeks. Still, the lack of an easy migrating tool provided by Google is a big disincentive: why would people migrate if they can’t easily find their friends? Features are an even bigger problem: Google+’s ambition isn’t to replace Orkut, which means that key Orkut elements are missing. According to Brazilian serial entrepreneur Roberto de Brito Nunes, CTO of incubator Samba Ventures, what Orkut users would miss the most on Google+ right now are Communities, games and the OpenSocial set of APIs. Communities are very different from G+’s philosophy of private Circles and it’s unclear if they are on Google+’s roadmap at all. For Roberto, that’s the way it should be: Google+ should (and will very likely) prioritize the additional features that make sense for its product, rather than mimic Orkut. Actually, the main threat to Orkut may well be Facebook, as we pointed a few months ago (see previous story): Pages and Groups are somewhat similar to Communities, not to mention all the casual games available. 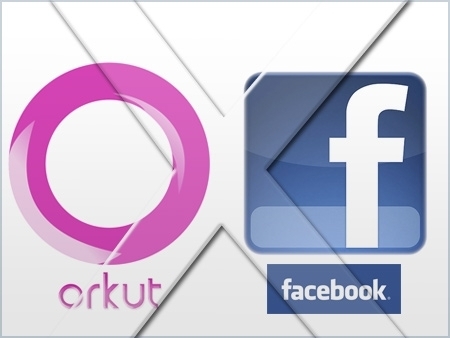 Last year, Facebook already overtook Orkut in India, one of the few countries where it remained popular. In fact, Brazil is the only country where Orkut still dominates, and Facebook seems determined to challenge it. Back in February this year, Mark Zuckerberg’s company poached Google’s Latin America MD Alexandre Hohagen, who now heads Facebook’s newly created office in São Paulo. He’s currently working on building a team, as confirmed by the 8 open positions listed on Facebook’s careers page. As a result, Facebook is already gaining ground in Brazil: it’s the country where it grew fastest in May, according to stats site SocialBakers. This growth of Facebook was initially driven by the upper class youth, who could read English and had friends abroad. In the US, social media researcher Danah Boyd had highlighted class divisions between MySpace and Facebook. The same happened in Brazil: wealthy people wanted to differentiate themselves. According to Raquel Recuero, a Brazilian researcher who authored a book about social networks, affluent Brazilians started to criticize and leave a social environment they deemed too democratized and unsafe; ‘Orkutization’ became a pejorative buzzword, used in different contexts. However, analysts have recently reported that the Brazilian middle class also started to migrate as well, which quickly prompted critics against the ‘Orkutization’ of Facebook. Will it lead the upper class to head for other social networks again, including Google+? The answer is still unclear, but Raquel is sure about one thing: Brazil will never experience another ‘Orkut phenomenon’. The tremendous success of Orkut in the country was the result of a unique context. Since then, the Brazilian Internet landscape has evolved considerably, meaning that attention is now divided between many online destinations. As a proof of it, Facebook isn’t the only social platform to be gaining traction in Brazil: so is Twitter. Recently translated into Portuguese, the site has a reach of over 21% in Brazil, which comes second in the global penetration ranking. Likewise, LinkedIn has over 3m members in Brazil; not to mention other platforms such as Foursquare, Formspring and Fotolog. Actually, it seems that Brazilian users don’t mind having profiles on many, many social websites. 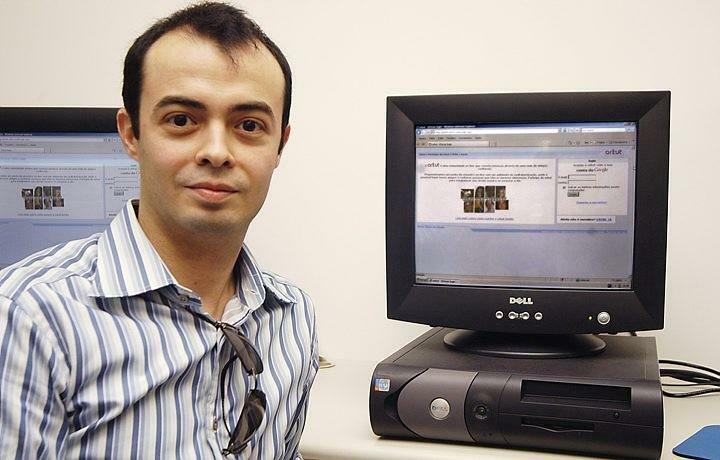 For an example, have a look at Edney Souza’s page on MeAdiciona.com, a service which groups its users’ different online profiles. Does this mean that Brazil is so much into social networks that several of them could co-exist successfully? Will Orkut survive G+ on the longer term? Only time will tell. Do you use many social networks or do you prefer to focus on one?